Many important growth milestones and changes occur in the first few years of life. Because of this, how we support infants and children during these years is essential for their health and well-being. 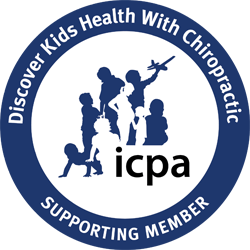 Pediatric chiropractic is an important part of this. ​It is important for infants and children to be checked early in life by a trained pediatric chiropractor because children need a healthy nervous system to be able to grow and thrive. Dr. Lauren is a chiropractor trained in pediatric chiropractic care and knows how to assess if your child is functioning to their potential. 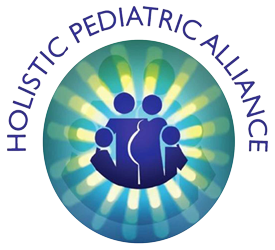 Through a clear and balanced system, children can express their health optimally. At Well Family Chiropractic, we are highly trained on how to take care of your infants and children. Adjustments on infants and children are safe and gentle and we’ll use the techniques best suited for your child’s health. The adjustments are very light and gentle. At Well Family Chiropractic we understand that with anything new, there are always questions, especially when it comes to your little one. We’ll listen to those questions and concerns and answer them as specifically as we can. We are passionate about giving children the best start to life. Call us today to set up your child’s first appointment! From a diaper changing station and nursing chair, to a designated kids play area and comfortable waiting room, we designed Well Family Chiropractic with you and your family’s comfort in mind. We utilize an advanced, painless and safe chiropractic technology that scans your spine and delivers a computerized image of the stress and tension to your nervous system. Dr. Lauren is passionate about helping you and your family achieve greater health and well-being through chiropractic. Learn more about Lauren and why she became a chiropractor.